Tonight is Burn’s Night, in which the Scots eat Haggis and drink whiskies, recite Burn’s poetry to the sound of bag pipes and generally have a song and a dance around one of the weirdest food stuff possible! Poach the duck eggs directly in boiling water (with a spoonful of vinegar added) or in small darioles moulds stood in one inch of boiling water. Count 3 to 4 minutes after boiling point to get soft boiled eggs. Rinse under cool water, peel and reserve. Put one spoonful of rapeseed oil in a skillet and heat up. With oiled hands, shape 100g of haggis in round tartlet shape or flat pat tie and brush both sides in the beaten egg. Add a bit of water with your fingers if this helps. Sprinkle the fine oatmeal over and then fry both sides in oil. Repeat for 6 rounds. Drain the excess oil on some kitchen towel then serve the Haggis base with one poached egg on top and sprinkle some salt over. 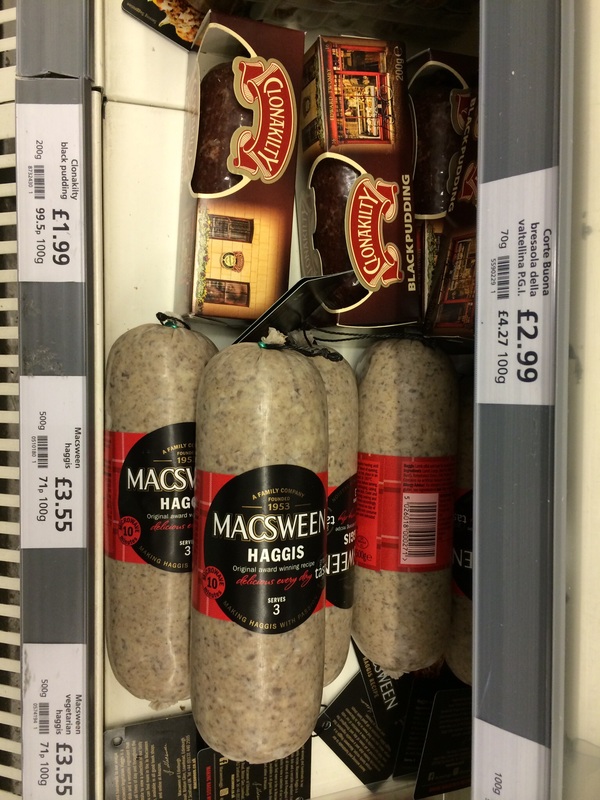 Serve with a sprinkle of whisky on the haggis base. 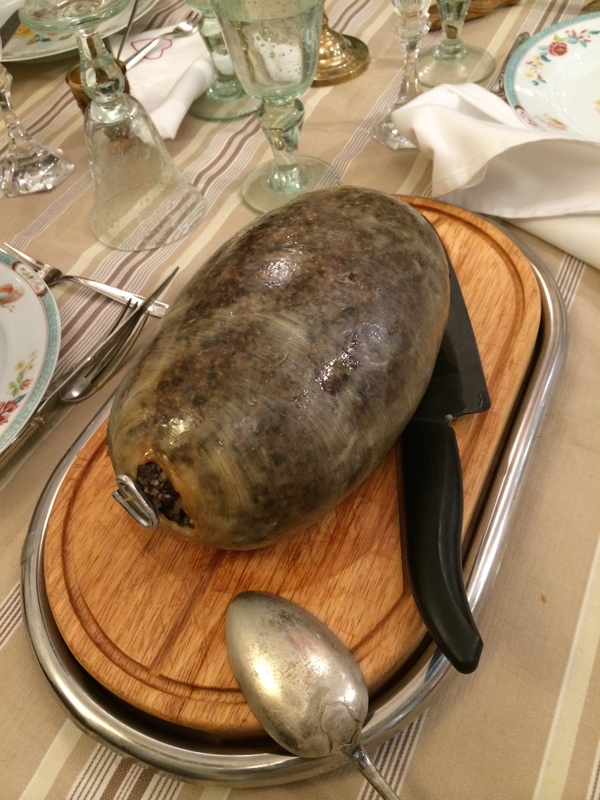 Each guest will cut the egg : the soft yolk mingling with the spicy haggis meat and the alcool gives a lovely and very unusual mouthful. Some bag-pipe music might always be enjoyable at that point but if you want to really get the full experience of Burn’s Night you can always try reciting the traditional address or heading to a Scottish pub during the next three or four weeks and seeing how it is done properly!